Congrats again to Alex Rogers and Debby Goldsberry for putting together such a great event. I’m honored to have been invited to speak and take part in this event with incredible guests such as Rep. Dana Rohrbacher (R-CA), travel writer, Rick Steves, and Columbia Professor, Dr. Carl Hart, among others. It’s great to see coverage of the event on the front page of the Sunday SF Chronicle! 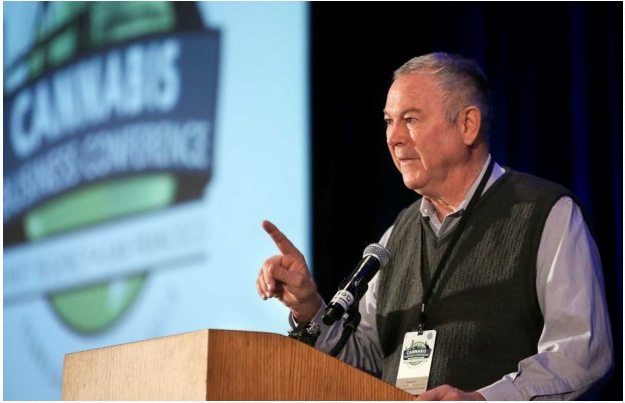 But now, Rohrabacher has emerged as a national leader in one not-so-conservative issue: legalizing marijuana. This entry was posted in Cannabis, Events, Marijuana, Press and tagged aundre speciale, cannabis industry, CBCB dispensary Berkeley, dana rohrbacher, Debby Goldsberry, Dr. Carl Hart, icbc, Joe Garofoli, Phytologie Wellness, Rick Steves, SF Chronicle, SFgate. Bookmark the permalink. 1 Response to ICBC Makes Front Page of the SF Chronicle!